A blasé pool and a buckling patio were the first things to go during this four-week Gary Duff Designs makeover. By redoing the patio flooring and installing a cascading waterfall (one of two on the property), the space immediately transitioned into a tranquil area to sit or float – but always relax. 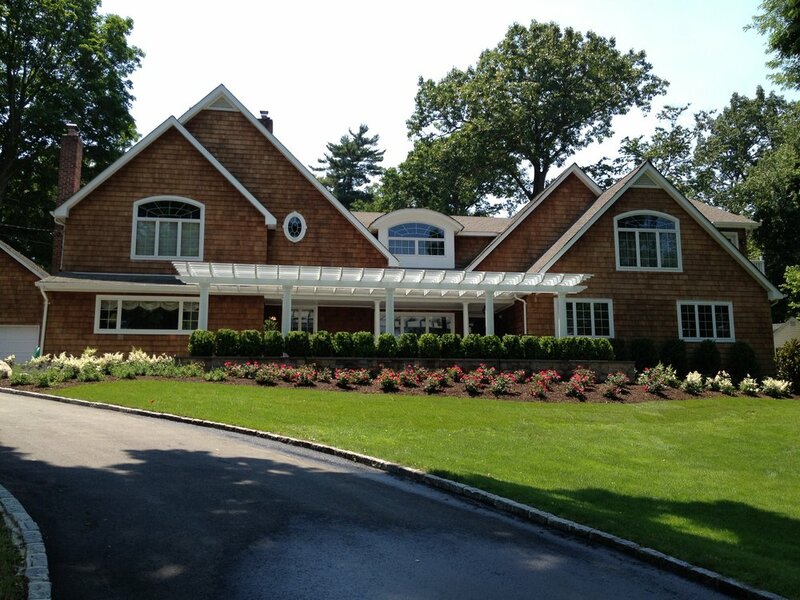 One of the most significant changes was the addition of a pergola off the front of the house. This architectural design element added effortless elegance. Final finishing touches included rebuilding the steps and replanting the front and backyards with lower growing, more colorful foliage.